Indoor bikes offer the benefits of long-distance cycling without the hassles and hazards of riding in dangerous traffic. You can now build your child’s calf and thigh muscles in the comfort of your care. The adjustable seat positions and cushioned handles make this perfect for a variety of kid sizes! Fully adjustable child sized “cycle” bike. These executive bikes come in bright yellow or purple-red graphics. Package comes complete with programming schedule. Call 1-800-875-9145 to speak with one of our fitness advisors with any questions you may have. 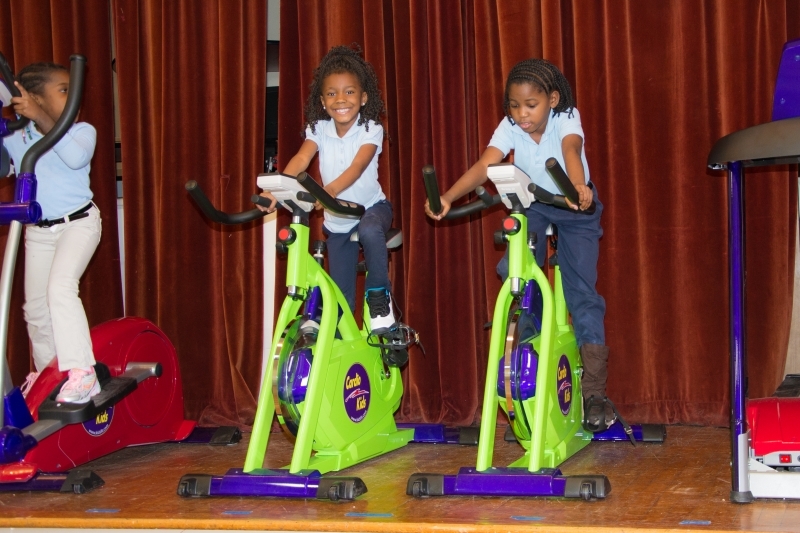 How do we put a price on our kids overall wellnes and their future - Go to FitnessZone.com today to order the Cardio Kids Indoor Bike 659 Junior and let's give our kids the advantage they deserve. 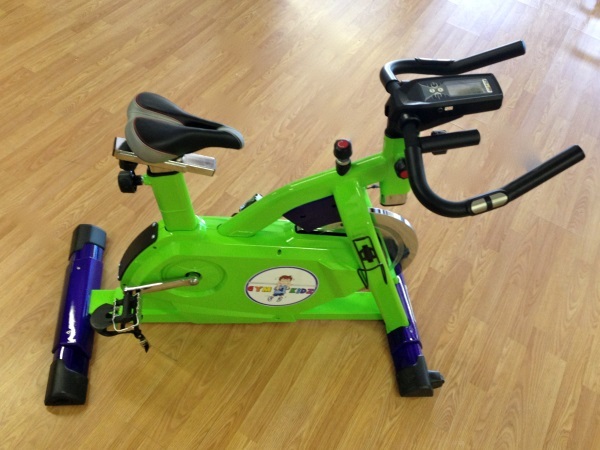 Order your Cardio Kids Indoor Bike 659 Junior from FitnessZone.com today!